How exciting!! 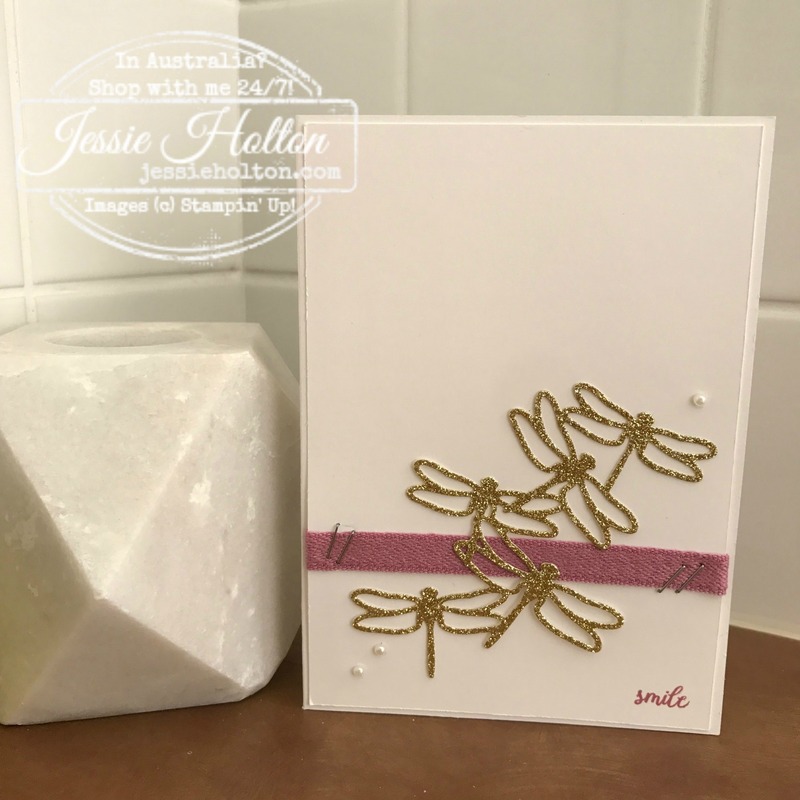 It's another OSAT Blog Hop & this month's theme is Clean & Simple (CAS)! You may have come from the gorgeous Megan Thompson or you may be starting here at my blog. Either way, make sure you hop all the way through the list, there are some stunning projects to be seen! I'm only new to the CAS style & it's hard to know when to stop sometimes, but I'm really happy with how my projects turned out for this hop! For my card, I have used a Thick Whisper White base with another layer on top. Wrapped around it is the Sweet Sugarplum Ribbon from the Succulent Garden Combo pack. 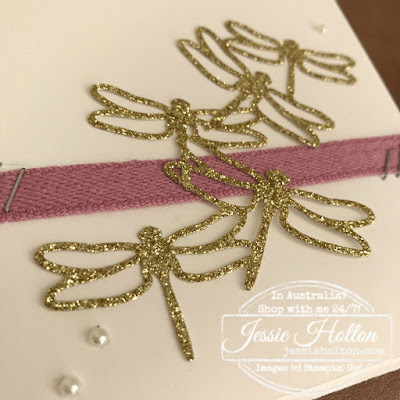 I've used the Detailed Dragonfly Thinlits in Gold Glimmer Paper & added a couple of Basic Pearls. I have stamped the front of the card with the 'smile' sentiment from the new Tabs for Everything stamp set as it's a really similar font to the Dragonfly Dreams stamp set, which I used to stamp the inside (not pictured). And a tag to match made with Blushing Bride Glimmer Paper & the Butterflies Thinlits. I hope you have enjoyed my projects & continue around the rest of the Hop! Have fun on your travels! Melissa Davies is up next! Jessie Holton - that's me!